TWO YEARS ago The Economist constructed an index of crony capitalism. It was designed to test whether the world was experiencing a new era of “robber barons”—a global re-run of America’s gilded age in the late 19th century. Depressingly, the exercise suggested that since globalisation had taken off in the 1990s, there had been a surge in billionaire wealth in industries that often involve cosy relations with the government, such as casinos, oil and construction. Over two decades, crony fortunes had leapt relative to global GDP and as a share of total billionaire wealth. It may seem that this new golden era of crony capitalism is coming to a shabby end. In London Vijay Mallya, a ponytailed Indian tycoon, is fighting deportation back to India as the authorities there rake over his collapsed empire. Last year in São Paulo, executives at Odebrecht, Brazil’s largest construction firm, were arrested and flown to a court in Curitiba, a southern Brazilian city, that is investigating corrupt deals with Petrobras, the state-controlled oil firm. The scandal, which involves politicians from several parties, including the ruling Workers’ Party, is adding to pressure on Brazil’s president, Dilma Rousseff, who is facing impeachment on unrelated charges. A cache of internal documents shows that despite growing revenue, Palantir has lost top-tier clients, is struggling to stem staff departures, and isn’t collecting most of the money it touts in high-value deals. A trove of internal documents and insider interviews has pulled back the curtain on one of Silicon Valley’s most secretive and highly valued companies, Palantir Technologies. Started in part with CIA money, the data-analysis company promised that its software would revolutionize everything from espionage to consumer businesses, and it has grown in both revenue and employees. But the documents and interviews show that Palantir has also lost blue-chip clients, is struggling to stem staff departures, and has recorded revenue that is just a fraction of its customer bookings. If you have information or tips, you can contact this reporter over an encrypted chat service such as Telegram, Signal, or WhatsApp, at 310-617-1302. You can also send an encrypted email towill.alden@buzzfeed.com, using the PGP key found here. Over the last few months terrorists have been attempting to up the ante in Kashmir at the behest of their masters across the border. The security forces, however, have put paid to their plans by conduct of surgical counter-terrorist operations. In a fierce encounter in Panzgom, South Kashmir on 07 April the security forces eliminated three terrorists. 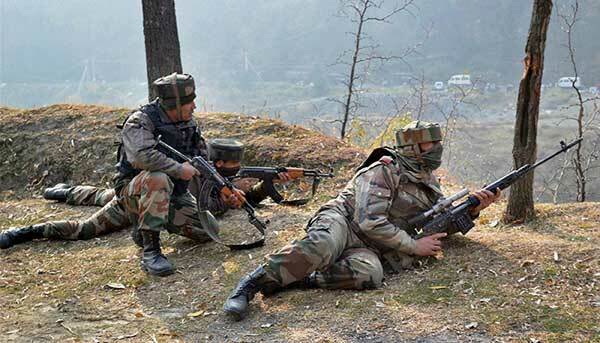 Earlier, a counter terrorist operation in the Putshai area of Lolab, Kupwara, North Kashmir, that lasted over many days and culminated on April, 27, witnessed the gunning down of four terrorists, their weapons were also recovered. In yet another significant operation on April, 7, security forces had gunned down two top terrorists of the Hizb-ul- Mujahedeen in Shopian, South Kashmir. While the security forces continue to maintain pressure on terrorist activity in the Kashmir Valley, the diplomatic engagement with Pakistan does not seem to be gaining any momentum whatsoever. The talks between foreign secretaries of India and Pakistan held in New Delhi on April, 27, on the sidelines of the Heart of Asia conference have left nothing but frustration in their wake. The usual niceties of “frank and constructive discussion” with “all outstanding issues discussed” and “taking the relationship forward,” cause nothing but exasperation to such people who have no desire to waste their time on frivolity. Army’s FICV – Where are we? Infantry combat vehicle development was undertaken by most allied and axis powers almost simultaneously. But Schutzenpanzer 12-3 (mounted with a 20mm canon and carrying five infantrymen) of West Germany was the first mass produced one that served the German army from 1958 to early 1980. Presently there are more than 900 BMP-2 units in service. The Indian Army has been looking for a replacement for the BMP-2. In 1967, the Soviets paraded the BMP-1 armed with a 73mm gun, A-3 Sagger ATGM besides carrying infantrymen. The top 10 ICVs in the world today are BMP-3 (Russia), Kurganets (Russia), M2 Bradley (USA), K-21 (South Korea), Puma (Germany), ZBD-08 (China), Warrior (UK), Freccia (Italy), CV90 (Sweden) and Piranha V (Switzerland). Russia’s Kurganets-25 is a next-generation IFV, successor to BMP-3. Its first batch was delivered in 2015 and full-scale production is slated to begin this year. Production cost of South Korean K-21 is half that of the American M2 Bradley but latter reportedly has better protection. 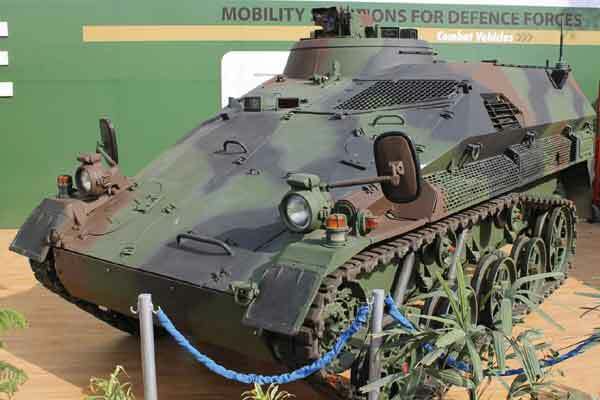 In the US, the Ground Combat Vehicle (GCV) program has been initiated as part of the US Army’s modernization efforts to deliver its armed forces with a next-generation infantry fighting vehicle. In February 2010, the US Army issued a formal RFP for a versatile GCV capable of carrying nine infantrymen in IED-threat environments. The technology development contracts were awarded to BAE Systems Land & Armaments and General Dynamics Land Systems in 2011. US Army is to initially procure 1,874 GCVs of the winning design from one of the two contractors. The first production vehicle is scheduled to be rolled out in April 2018. The GCV is planned to be inducted in to service in 2019. With the conduct of the first Lt Gen Hanut Memorial Lecture, the Center for Joint Warfare Studies has taken on annual yeoman’s task. While the lecture topics will over coming years no doubt reflect the key themes of professional interest of the times, they would hopefully also serve to highlight the significance of radical professionalism, associated with the likes of Hanut Singh. India’s martial history is replete with instances reflecting and personalities imbued with radical professionalism, ranging from epic heroes to medieval soldier-saints. The two – episodes and personalities – can hardly be separated. Indeed, only leaders and warriors with radical professionalism can pull of feats of radical professionalism. Rather than defining the term, illustrations serve the purpose better. Episodes of display of radical professionalism are easy to spot: Saragarhi; Rezangla; capture of Haji Pir; the first step on the Saltoro ridgeline; the battle for Quaid post are some such. Others do not readily spring to mind, but are of no less a category: Dewan Ranjit Rai’s stand at Pattan; the occupation of Namka Chu; the miscued heliborne operation in Jaffna; and the unshod assault with a prayer on the lip into the holy precincts of Golden Temple. Equally, figures embodying the phrase are easy to identify, more so in retrospect. For instance, the figure immortalized by the words ‘dil maange more’, Capt Batra, was distinct from the more modest but equally inspired and inspiring, Manoj Pandey. Charismatic leaders also fit the bill: Manekshaw, Bhagat, Hanut are among those reaching higher echelons. However, that is not a necessary condition for qualifying as a radical professional. While ‘NJ’ Nair’s Ashok Chakra and Kirti Chakra attest to his radical professionalism, those who knew him recount that they were aware of it even when he was not decorated. In its recently held meeting, the State Cabinet welcomed resumption of talks with Pakistan. Was this endorsement necessary and in consonance with State practice, and what was the prompting? Observers will comment on that if they analyze the event in some depth. The CM was actually on a visit to explore tourist potentials along the border as she also holds the charge of Tourism Department. Two days earlier, the Chief Minister was on a visit to the border in RS Pora sector examining the possibility of opening tourist destination along the LoC and IB, particularly at Suchetgarh and Chambalyal. She strongly emphasized opening a Wagah-type international border entry-point at Suchetgarh and transit point at Chambalyal. The CM was actually on a visit to explore tourist potentials along the border as she also holds the charge of Tourism Department. Jammu region has lagged behind in developing tourist destinations. This is what the CM conceded and said that the deficit has to be made good. Which combat jet for the Indian Air Force? The Indian media regularly highlights well-known issues with diminishing squadron numbers of the Indian Air Force (IAF). 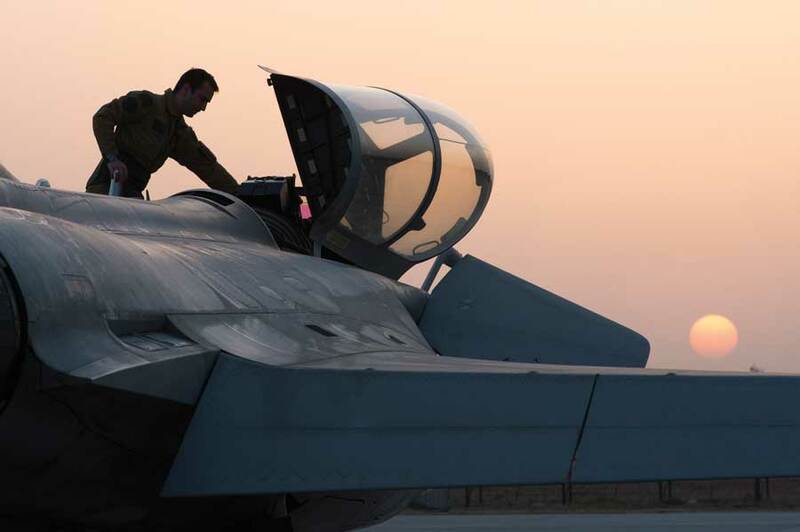 The long-awaited Medium Multi-Role Combat Aircraft (MMRCA) competition did identify a suitable fighter for the IAF from amongst six capable contenders, but with its many offset clauses and caveats, the MMRCA tender failed to galvanize the needed urgency in the purchase of fighter jets to replenish the IAF’s shrinking squadron-numbers. Price disagreements, differences over offset clauses and negotiations for “discounts” continue to delay Rafale negotiations even for the 36 aircraft that shall be built in France and purchased off the shelf. In the end, delays led to cost escalations and the MMRCA competition was canceled. The Rafale’s manufacturer, Dassault Aviation, steadfastly refuses to guarantee aircraft built under license by Hindustan Aeronautics Limited (HAL). Meanwhile, Egypt commissioned and completed its own trials for a combat jet, selected the Rafale, and has already begun taking delivery of this capable French aircraft. The Indian government has quietly invited 3 competing aircraft manufacturers of the MMRCA competition to bid once again. In the new race between the F-16 and F/A-18 of the United States and the Saab Gripen JAS 39 from Sweden to manufacture combat jets in India under “Make in India”, there are some important yet lesser known facts that make the choice for the Indian Air Force less than straight-forward. Animosity between the Jammu and Kashmir regions runs deep. In a tense environment, local conflicts often have far-reaching impact and must be resolved swiftly. A constant problem in Jammu and Kashmir is the ‘political unpredictability’ and ‘religious fissures’ which keep brewing and exploding. Politics and religion are so deeply enmeshed that governance, security, development, the distribution of resources and even gender is perceived through a politico-religious lens. This volatile combination gnaws menacingly at regional and community sinews. The animosity between the two regions – Jammu and Kashmir Valley – runs so deep that they have not been able to accept each other’s ‘political ideologies’ or gain political trust since 1947, and perhaps even before when a Hindu Dogra Maharaja ruled a Muslim majority population. Does a new alliance bring renewed hope? The new political alliance between the key BJP and PDP parties, created after the state assembly election in 2015, was seen by some as an opportune tool to snub the idea that Hindu and Muslim political identities cannot come together. One would have thought that after the mandate given to political parties in Jammu and Kashmir, the BJP-PDP alliance would tip the political scale. But the alliance soon became vulnerable to extremists on both sides, sabotaging prospects for peace. It is interesting to observe that EU initially wooed Chinese dragon before the Indian elephant on the trade side. The times and scenarios have changed given the present National Democratic Alliance (NDA) government has launched ‘Make in India’ campaign and has streamlined its processes of doing business. It is for the benefit of India to engage EU strategically on the economic front so as to counter and even halt the Chinese run as it ascends to higher economic growth. EU believes that it will show greater interest in economic reforms undertaken by the Modi government provided that the same sustain in a stable, investment friendly environment. The question remains whether India and EU believe in taking its economic core of relations to the next stage. There have been dismal figures, as shown by Eurostat in terms of trade between India and EU, to show that not much has improved on the goods and services front in 2015. Winston Churchill famously said: “An appeaser is one who feeds a crocodile hoping it will eat him last”. India has been feeding the giant crocodile across the Himalayas for decades—and stoically bearing the consequences. 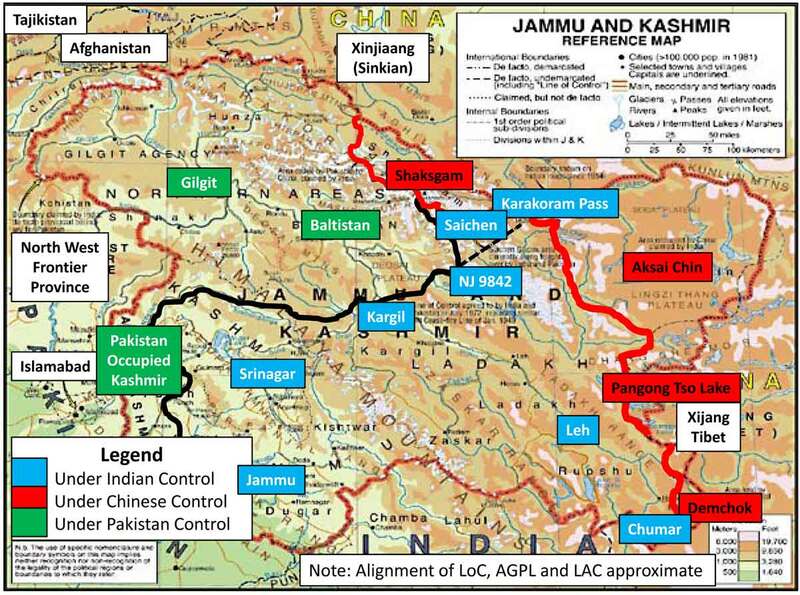 By 1954, through the infamous Panchsheel Agreement, Nehru surrendered India’s British-inherited extra-territorial rights in Tibet and recognized the “Tibet region of China” without any quid pro quo. Such was Nehru’s PRC courtship that he even rejected US and Soviet suggestions in the 1950s that India take China’s place in the UN Security Council. Nehru’s officially published selected works quote him as stating that he spurned those suggestions because it would be “unfair” to take China’s vacant seat—as if morality governs international relations. Ironically, impiety and ruthlessness have been hallmarks of China’s policies. The Anil Ambani-led Reliance Group alone owes Rs 1,21,000 crore of loans to the banks and had an annual interest liability of Rs 8,299 crore against earnings before income tax of Rs 9,848 crore. Some of the group’s firms, like Reliance Infrastructure and Reliance Defence, don’t earn enough to service the interest outgo. The sale of eight U.S. F-16s to Pakistan has run into troubled waters with Congress blocking the release of funds towards the deal. Under the earlier agreement between the United States and Pakistan, approximately $430 million of the $700 million bill for the F-16s was to be paid by Washington. Earlier this year, Bob Corker, the chairman of the powerful Senate Foreign Relations Committee, raisedquestions on the Obama administration’s proposed sale of F-16s to Pakistan, while Pakistan continued to “support the Taliban, the Haqqani Network and give safe havens to al-Qaeda.” More recently, Congress hascriticized Pakistan for its continued imprisonment of Dr. Shakil Afridi for his role in aiding the U.S. in locating and killing Osama bin Laden in 2011. Seymour Hersh posited in his report  on the Bin Laden operation in Abbottabad that Saudi Arabia had asked Pakistan as a favor to hide Bin Laden because he was a scion of a powerful Saudi-Yemeni Binladin Group and it was simply not possible for the Saudis to hand him over to the US. By that time, in 2005-6, Bin Laden was already on the run and his value was nothing more than that of a figurehead dummy. Moreover, it should be remembered that the Pakistani military and the House of Saud have very deep and institutionalized links: thousands of Pakistani retired and serving army officers work on deputations in the Gulf states; furthermore, during the ‘80s and ‘90s Saudi Arabia lacked an efficient intelligence set-up, and the Pakistani ISI virtually played the role of Saudi Arabia’s foreign intelligence service. But once the Pakistani walk-in colonel told the then-CIA station chief in Islamabad, Jonathan Bank, that a high-value al Qaeda leader is hiding in an ISI’s safe house in Abbottabad, right next to the Pakistani Military Academy, and after that when the CIA obtained further proof in the form of Bin Laden’s DNA through the fake vaccination program carried out by Dr. Shakil Afridi, then it was no longer possible for the Pakistani security establishment to deny the whereabouts of Bin Laden. On April 30, 2016, a Hindu tailor, identified as Nikhil Joardar (50), was hacked to death at his tailoring shop in the Dubail area under Gopalpur upazila (sub-District) of Tangail District. On April 25, 2016, Xulhaz Mannan (35), editor of Roopbaan, Bangladesh’s first ever Lesbian, Gay, Bisexual and Transgender (LGBT) magazine; and his friend Samir Mahbub Tonoy (25) were hacked to death in their flat in the Kalabagan area in Dhaka city, the national capital. Before that, on April 23, 2016, A.S.M. Rezaul Karim Siddiquee (58), a Professor of English at Rajshahi University, was killed with sharp weapons while he was waiting for University transport at the Battola intersection in Rajshahi city. On April 6, 2016, Nazimuddin Samad (28), a blogger and an activist of Gonojagoron Mancha (People’s Resurgence Platform), who used to campaign for secularism on Facebook and was critical of radical Islamists, was killed by suspected Islamist terrorists in Old Dhaka city’s Sutrapur area. Again, on March 22, 2016, Hossain Ali (65), a freedom fighter who converted to Christianity from Islam 17 years ago, was hacked to death with sharp weapons while he was walking on the road beside his house in the Garialpara area of Kurigram District. March 14, 2016: Abdul Razzaq (45), a homoeopathic medicine practitioner and follower of the Shia form of Islam for over 20 years, was hacked to death with sharp weapons while he was heading back to his village in Jhenaidah District. While on February 21, 2016, Jogeswar Dasadhikari (50), a Hindu priest at Sri Sri Shonto Gaurio Temple in Debiganj upazila (sub-District) of Panchagarh District was killed by slitting his throat, on January 7, 2016, Chhamir Uddin Mandal (85), a homoeopathy doctor who had converted to Christianity in 1993 was killed inside his dispensary in Jhenaidah District. Significantly, out of the nine murders in 2016, Islamic State claimed responsibility for six, including the murders of Nikhil Joardar, A.S.M. Rezaul Karim Siddiquee, Hossain Ali, Abdul Razzaq, Jogeswar Dasadhikari and Chhamir Uddin Mandal. Meanwhile, Ansar al-Islam (Sword of Islam), the purported Bangladesh branch of al-Qaeda in the Indian Subcontinent (AQIS) claimed ‘credit’ for the twin murders of Xulhaz Mannan and Mahbub Tonoy; and Nazimuddin Samad. Contrary to Li’s assertions, the U.S. Defense Department believes that China has in fact deployed MIRVs. In its latest annual report to Congress on China’s military capabilities, the Department claimed for the first time that China possessed MIRV-equipped nuclear weapons, specifically identifying China’s Dong Feng (DF)-5 ICBM missile. The newly developed DF-41 ICBM may be MIRV-equipped as well. American leaders unnecessarily provoked China to challenge US policy in Asia. Although Russia remains the main challenge for the USA, now China has also joined the Russian party. The USA can do nothing literally against the Chinese challenge, except in rhetoric, while Beijing continues to ensure security for its legitimate trade through South China Sea. Clearly, Obama’s pivot to Asia to contain China (as well as Russia) came as a timely warning to Beijing to take precautionary measures against US mischief in the South China Sea. China is determined to block American military vessels that might obstruct the Chinese navigation of trade vessels to Middle East and Central Asia in the South China Sea (SCS). Washington said China could, however, effectively create a strait by locating sufficient military assets on two sets of land it controls. Beijing is busy making a new strategic strait in the region. The South China Sea, several hundred nautical miles wide, doesn’t appear at first glance to be a geographical bottleneck. China has already constructed artificial islands for missile launch on the South China Sea. Construction of Fiery Cross Reef located in the western part of the Spratly Islands group in the South China Sea has been completed. That decision is important for a number of reasons, but among them is that China’s island-grabbing campaign may be designed to give Beijing a strategic headlock on one of the planet’s most critical waterways. On 31 March 2016, a new government team led by Fayez Mustafa al Serraj reached Tripoli by boat from Tunis. The team had been waiting in Tunis for a while and had to abandon plans to fly in as the airspace was closed by another government based in Tripoli, termed “the government of national salvation”. Mysteriously enough, “the government of national salvation” decided to dissolve itself within days of the arrival of the new Serraj government. The Serraj government is the result of a long process of consultations, among some Libyans and some interested foreign governments, mainly from the West, led by UN official Martin Kobler, a German career diplomat, who acted virtually as the midwife. There is yet another government based in Tobruk in the east. That government has not yet accepted the new government in Tripoli. The Central Bank, the Libyan National Oil Company, and the Sovereign Fund of Libya have pledged allegiance to the new government in Tripoli. When can we expect to see Libya having a single government and starting the daunting journey towards democracy, considering that Gaddafi, during his 42- year long rule, had methodically destroyed any institution that stood in the way of his megalomaniacal autocracy? Before trying to answer the question, it will be useful to go into Libya’s recent history and raise one or two questions. As far as recent history is concerned, we need to look at four periods: the Italian occupation of Libya starting in 1911-12; Libya’s liberation in 1943 by the UK and France and its emergence as a single state under the auspices of the United Nations in 1951; the take-over by Gaddafi in 1969 and his rule ending in 2011; and the post-Gaddafi chaos from which Libya is trying to recover. Under its new president, Muhammadu Buhari, Nigeria has regrouped, and neighbours are collaborating with it more meaningfully, taking a more powerful military response to Boko Haram into rural areas where the jihadist group remains strong. Other international partners also are supporting the effort against the insurrection that since 2009 has cost tens of thousands of lives, uprooted millions and spread to other Lake Chad basin states, damaging local economies and cross-border trade. Boko Haram is seemingly on a back foot, but formed of dispersed segments spread over a vast area (Borno state alone is 92,000sqkm) and accomplished in terror attacks, it is unlikely to be eliminated in a decisive battle. The Lake Chad basin states and their international partners, who meet in Abuja on 14 May 2016 at their second regional summit, must use their new collaboration to move beyond military cooperation and design a more holistic local and regional response, lest Boko Haram or similar groups remain a long-term threat to the entire Lake Chad basin. The selection of a literary companion should never be rushed; careful thought must be given to whose words will best set the scene for what you are about to experience. India's flagship economic diplomacy programme, the grant of Lines of Credit (LOC), has had immense success in expanding the country's development cooperation around the world. In the African region, for instance, countries have found LOCs to be appropriate alternatives to traditional development assistance. LOCs are a popular tool among countries looking to fund their development goals. Closer to home, Nepal has received more than $1 billion in development assistance through Indian LOCs. This paper makes an assessment of the $67-million LOC granted to Nepal for the Rahughat hydropower plant project. The paper provides an overview of Indo-Nepalese relationship, the current electricity needs of Nepal and its overall energy potential, and the macro- and micro-economic impacts of the Rahughat project. It offers policy recommendations to improve the process of LOCs and their intended outcomes. On the dot of noon, as agreed, GeneralDavid Petraeus strolls into the Four Seasons Restaurant. His arrival causes a flurry among the floor staff. Dressed in a navy blue suit and plain red tie, the former CIA chief is businesslike — in keeping with his new role on Wall Street. When I inquire what keeps him busy nowadays his answer goes on for so long I half regret asking. In addition to a lucrative job in private equity and a clutch of teaching jobs, he is “on the [paid] speaking circuit.” Chuckling, and in an apparent reference to Bernie Sanders’ attacks on Hillary Clinton’s gilded speaking career, he adds: “Many have noted it is the highest form of white-collar crime.” Only when I touch on the scandal that ended his meteoric public career does he assume a crisper tone. Just four years ago, Petraeus was lionised as the Douglas MacArthur of his generation. Even discounting the hype, he stood head and shoulders above other US generals. In the depths of the Iraq war, when the country was undergoing death by a thousand improvised explosive devices, he was dubbed “King David” of Mosul — a city he cleared and held before it fell back into rebel hands. He was then appointed chief architect of George W Bush’s 2007 Iraq surge and, after a stint as head of the Pentagon’s Central Command, Barack Obama put him in charge of his own surge in Afghanistan. His reward was to be made head of the Central Intelligence Agency in 2011. Many thought the CIA was a springboard for Petraeus’s own presidential ambitions. America loves a successful general and his approval ratings were stratospheric. Could anything stand in his way? 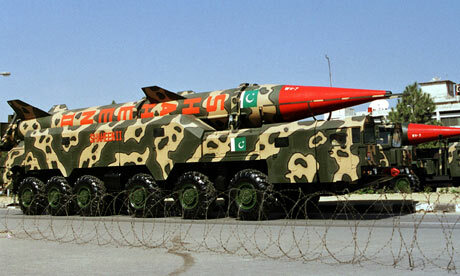 The Nuclear Security Regime and Nuclear Terror A comprehensive, sustained approach is needed to stop nuclear terrorism. In the aftermath of the 9/11 attacks, the threat of use of nuclear material by terrorist groups became a major concern. Multilateral efforts were intensified to prevent nuclear terrorism by ensuring a robust nuclear security regime, both at domestic and international levels. U.S. President Barack Obama accelerated these efforts by declaring nuclear terrorism “the most immediate and extreme threat to global security” in his oft-quoted speech at Prague. The four Nuclear Security Summits (NSS) – Washington 2010, Seoul 2012, The Hague 2014, and Washington 2016 – have made important progress in building the momentum to secure vulnerable nuclear materials so terror groups can’t acquire them. Since the summits began in 2010, fourteen countries have completely eliminated civilian stockpiles of highly enriched uranium (HEU) and plutonium. It is estimated that thanks to the initiatives of the Obama Administration, roughly 3000 kilograms of HEU – more than enough to make 150 bombs – have been removed from circulation. The nuclear security architecture has meanwhile been enhanced by creating fifteen training centers and by deploying radiation detectors at 300 borders, airports and ports. At the conclusion of the 2016 Washington summit, five international organizations: United Nations Security Council, International Atomic Energy Agency (IAEA), the Global Partnership Against the Spread of Weapons of Mass Destruction (GP), and the Global Initiative to Combat Nuclear Terrorism (GICNT) are expected to follow the steps outlined in the nuclear security summits. Meeting in Russia’s Black Sea resort of Sochi on May 6Prime Minister Shinzo Abe and President Vladimir Putin agreed that Japan and Russia would engage in more dialogue to craft a new approach to resolving the differences that have prevented their countries from signing a peace treaty for more than seven decades since the end of the Second World War. What the new approach to negotiations on a peace accord and on the contentious issue of the Kuril Islands/Northern Territories would entail is unclear. Russia seized the islands from Japan after World War II and refuses to return them to Japan. International politics and geography have created a strategically complicated area. Lying between the northern Japanese island of Hokkaido and Russia’s Kamchatka Peninsula, the Kurils separate the Sea of Okhotsk, off Russia’s eastern coast, from the Pacific Ocean. Tokyo’s long-held position is that a settlement of the dispute over the islands’ sovereignty must precede the conclusion of a deal with Moscow. But Russia insists that a peace pact and the territorial row are not directly linked. What explains Russia’s stance? Moscow’s determination to uphold Russia’s world status and protect its strategic interests will shape the outcome of any future talks. Having given the world a lesson in the effectiveness of “hybrid war” in the case of Ukraine, Vladimir Putin is now pursuing policies which can best be described as “hybrid peace,” Dmitry Oreshkin says; and just as the adjective concealed what he was doing in the former, it is again having the same effect in the latter. On the Apostrophe portal yesterday, the Russian commentator argues that it is obvious that “Putin does not want and cannot annex this territory. In fact, he never promised to do this: he doesn’t have the money or the desire” and sees keeping it “formally” within Ukraine working for him (apostrophe.com.ua/article/politics/foreign-policy/2016-05-07/putin-gotovit-donbassu-gibridnyiy-mir/4824). Microsoft’s Security Intelligence Report painted a bleak picture when it comes to malware, fraudulent login attempts and the staying power of really old exploits. Key findings in the 198-page biannual report run the gamut illustrating how old threats die hard and what new threats are on the horizon. The report, released Thursday, analyzes the threat landscape of exploits, vulnerabilities, and malware using data for the third and fourth quarters of 2015. Data is culled from its own internet services and more than 600 million computers worldwide running services such as Windows Defender and the Microsoft Malicious Software Removal Tool. Related Posts Threatpost News Wrap, May 6, 2016 May 6, 2016 , 11:45 am PwnedList Shutdown Unrelated to Recent Vulnerability May 6, 2016 , 10:15 am Public Exploits Available for ImageMagick Vulnerabilities May 4, 2016 , 12:17 pm Certainly, there were plenty of bright spots in the report, especially if you lived in North America where, according to Microsoft, we are one of the least likely to become infected compared to other parts of the world. Another bright spot overall, while exploits and malware attacks are on the rise the number of times attackers successfully infect are declining. But the “too long: didn’t read” takeaway is simple for Microsoft’s SIR. “Threats don’t change as fast as we think they do. Many of the issues we are faced with today are the same as they have been for years,” said Dan Guido a security expert and founder of Trail of Bits. “Many of the exploits and malware out there only affect older systems, and Microsoft has done a great job at designing Windows 10 and other, current generation, software to avoid them entirely. One of the easiest ways you can remove yourself from harm’s way is to buy a new computer and get rid of an older one.” Vulnerabilities The longer version, Microsoft observed a rise in vulnerability disclosures of 9.4 percent in the second half of 2015 compared to the previous six months. Fifty percent of those vulnerabilities were considered medium risk by Microsoft. Disclosures of high-severity vulnerabilities increased 41.7 percent across the industry in the second half of 2015, accounting for 41.8 percent of all vulnerabilities.